The Fiat Tipo Hatchback has been designed to meet all expectations when it comes to space and comfort. Its class leading 440 litre boot capacity allows for a variety of belongings to fit comfortably, all the while maintaining best in class rear leg room. Partnered with dynamic exterior features including LED daytime running lights and chrome grille, the Tipo is the ultimate combination of elegance and utility. Comfort is never compromised with the Fiat Tipo. Driver and passengers receive the ultimate comfort with five supportive and ergonomic seats, best in class rear passenger leg room, and 9 handy compartments for storing essential items on journeys. Transporting shopping, luggage, and items in between is never a problem with the 440 litre boot capacity allowed in the Tipo. The open design allows for easy entry of items so you can carry everything you want. The 60/40 rear seat split allows for a combination of configurations to allow for longer or irregular shaped items to be backed away nicely. Infotainment is at your fingertips inside the Tipo. Enjoy the advanced technology with the Uconnect 5” touchscreen radio with navigation system, Bluetooth, DAB, USB and Aux-in. TuneIn and Deezer will provide the best entertainment experience from your favourite tracks. The Fiat Tipo’s engines are designed with intelligence. From the 1.4 litre petrol to the 1.6 litre MultiJet diesel, the best choices for performance and fuel consumption is finally here. 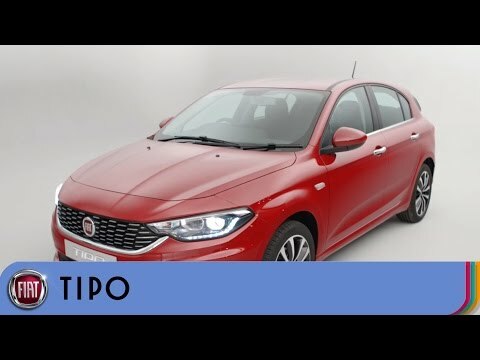 Dynamic in look and feel, the Tipo S-Design comes with an array of upgraded style, safety and technological features to add to the classic spaciousness and comfort of the original Tipo. With 18” alloy wheels and Bi-Xenon headlights, it provides a sporty driving experience that makes it hard to forget.